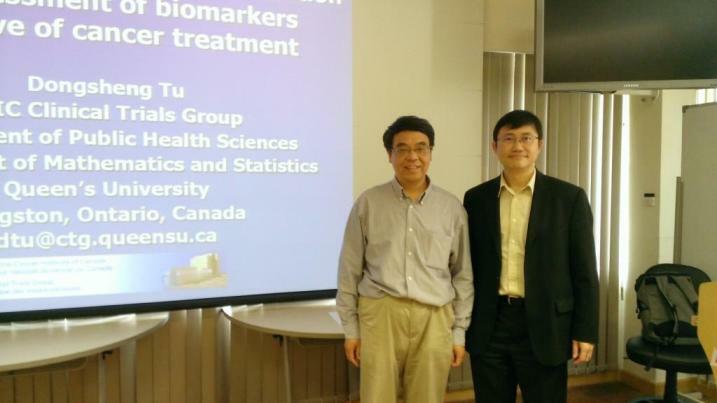 Abstract Identification and assessment of biomarkers which can be used to predict the response of a patient to a specific treatment is a very active research area of health sciences. The significance of the biomarker is usually assessed by a test of interaction between the biomarker and treatment. Many biomarkers are measured on a continuous scale but in clinical practice, it is preferred patients can be classified into two categories such as biomarker positive and negative based on a cut point. In this talk, I will present a Bayesian approach my colleagues and I developed recently which can provide statistical inference simultaneously on the cut point and biomarker-treatment interaction.